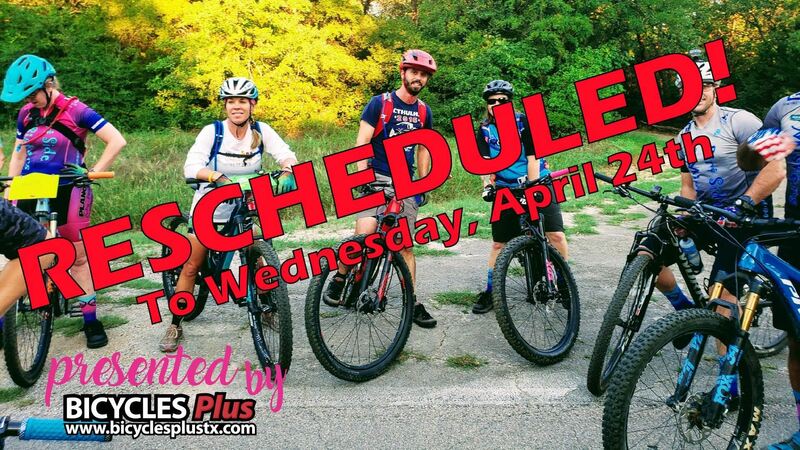 Looks like storms will be rolling in so we’re moving our Co-Ed Ride to next Wednesday, April 24th. Invite your Sisters and Misters and we hope to see y’all then! Woot! Woot! Our co-ed ride is back and we're taking it to Northshore! Invite your Misters (a.k.a. boyfriends, spouses, guy friends, brothers, cousin...we think you get the picture) for a fun ride as we mix it up on the trails together! As always we'll have a "first time rider,"beginner, beginner-intermediate, and intermediate groups led by our MTB instructors. You do not have to be a paid member to join us. Huge thanks to Bicycles Plus for providing bike checks and mechanical support. We will also be having dinner and drinks afterwards at Rockin' S Bar and Grill! The restaurant is near the same parking lot as the trail head! 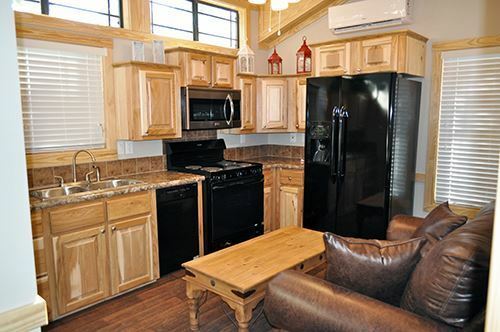 For driving directions to the Northshore trail head, type "MADD Shelter" into your Google Maps. *Helmets are required. We will have water available and some nutrition, but ultimately you are responsible for staying hydrated and bringing your own nutrition. A hydration pack or water bottle is highly recommended. Not sure what to bring? Check out our FAQ Page for more tips! 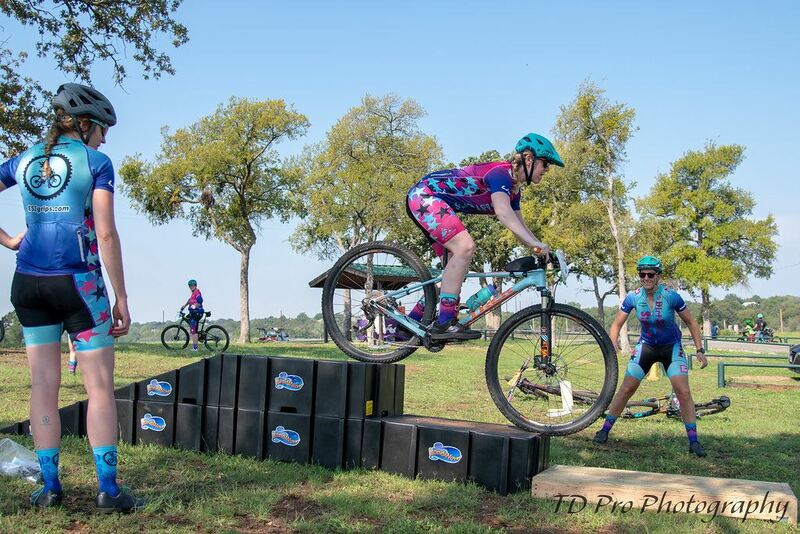 Are you new to mountain biking, or know another girl who is? 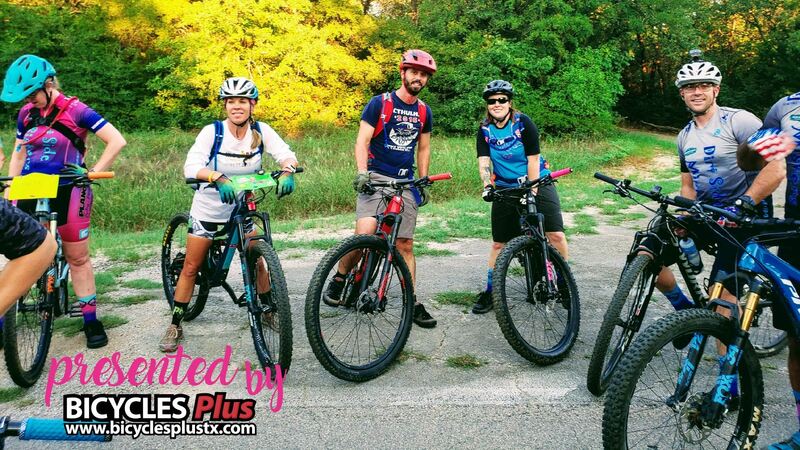 We are a dedicated group of women who want to help you get the most out of your new mountain biking adventures! Don't have a bike? Borrow one from us! Our fleet of bikes is for you to invite your girl friends or family to try out riding with us FREE of charge. Just email us at info@dirtsidesisters.org and we'll send you a quick Google form to reserve your bike today! Come out to Bicycles Plus in Flower Mound and learn how to properly wash your bike! A clean bike is a happy bike, and a happy bike can mean less squeaks and annoying noises, PLUS your components will last longer. We'll help you understand the importance of removing muck and grime off your drive train, teach you quick and easy cleaning habits for after a ride, and what types of cleaners can do more harm than good to your precious investment. There will be no "on site" registration, so be sure to sign up soon to secure your spot. This clinic is FREE for Dirt Side Sisters members and $15 for non-members. 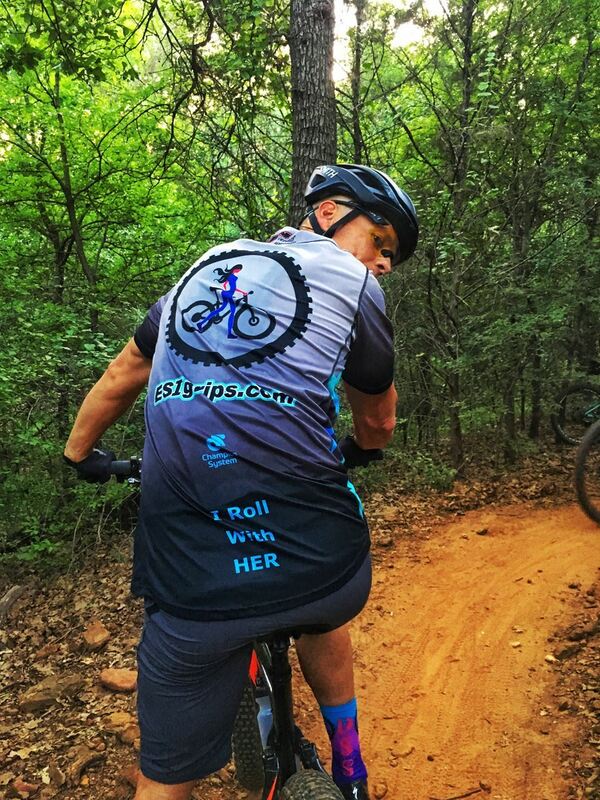 Are you new to mountain biking or road riding, or know another girl who is? We are a dedicated group of women who want to help you get the most out of your new cycling adventures! DSS Wednesday Night Ride @ Harry Moss p/b Local Hub Bicycle Co.
Join us for our weekly group ride at Harry Moss p/b Local Hub Bicycle Co.! This trail is in the trees, providing some tight and twisting areas with some long flowing areas, dips, tree gates, wooden structures, and some short hills. Definitely has something to offer every riding level. As always we'll have a "first time rider," beginner, beginner-intermediate, and intermediate groups led by our PMBIA certified MTB instructors and you do not have to be a paid member to join us. Huge thanks to Local Hub Bicycle Co. for providing bike checks and mechanical support! NEW for 2019 - a ride just for you speedy or tech savvy ladies!!! After the past years of our Wednesday rides and skills clinics, so many of you have improved in your riding abilities and are ready to take it up a notch. Join us at Northshore where we will have two main groups to choose from, both led by our PMBIA Certified Instructors. Group A will head East for some fast and flowy singletrack, and Group B will head West for rocky, technical practice. 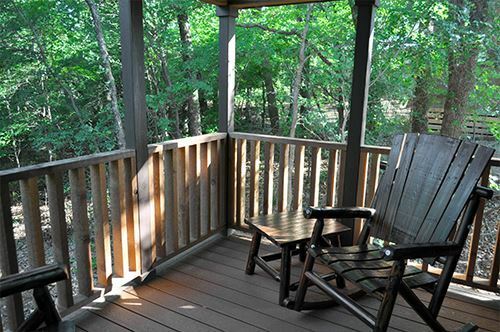 We love Horseshoe Trail because it offers a little bit of everything! If you're a brand new rider we've picked out the perfect, beginner friendly loop to help get you comfortable on the dirt, in addition to steep uphills and rock garden sections for the more advanced riders. 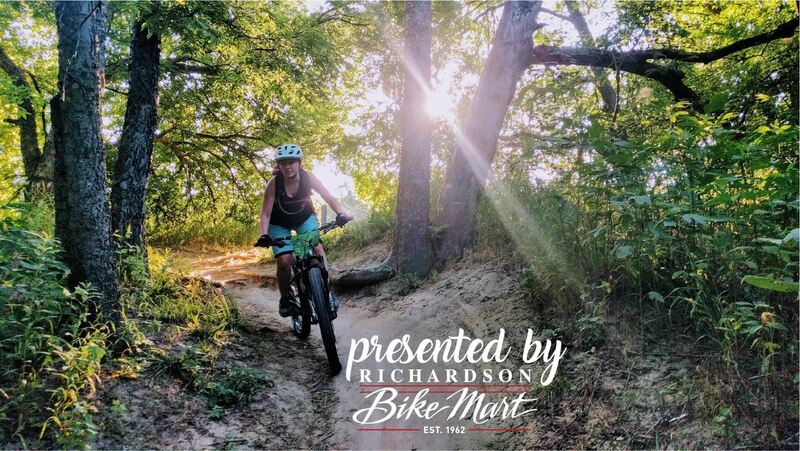 As always we'll have a "first time rider," beginner, beginner-intermediate, and intermediate groups led by our PMBIA certified MTB instructors and you do not have to be a paid member to join us. Huge thanks to Mad Duck Cyclery for providing bike checks and mechanical support! Please arrive at 6:00 pm to sign the waiver, pick up your name plate, and allow us to do a quick bike check. 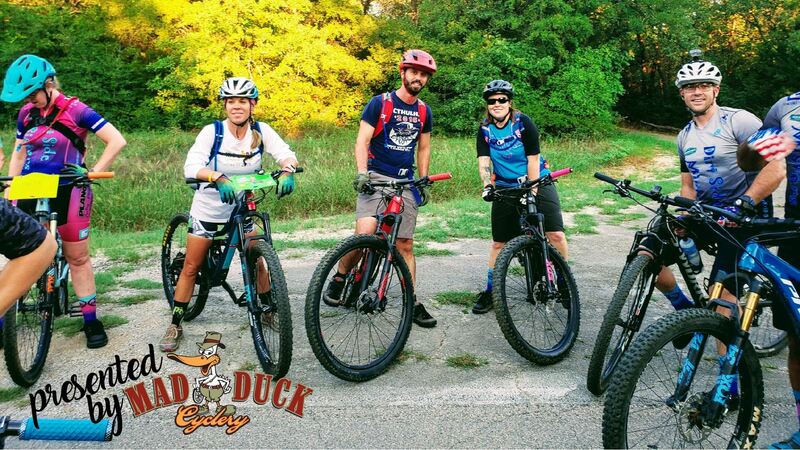 Wheels on dirt after our group picture at 6:30 pm!Post ride we'll be heading over to Hop & Sting (formerly Grapevine Craft Brewery) to refuel at their food truck and enjoy a cold beverage of choice with our beer tokens! 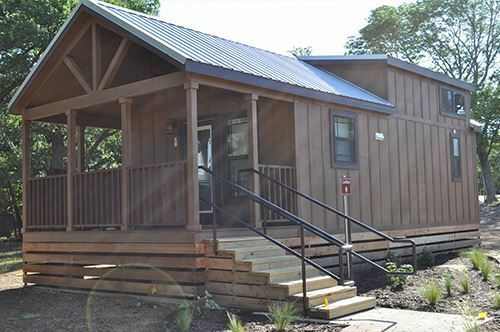 Join us this week at Rowlett Creek Preserve! This is a great trail that offers a little bit of everything! Test your skills on the teeter totter or practice lifting your wheel over log obstacles. 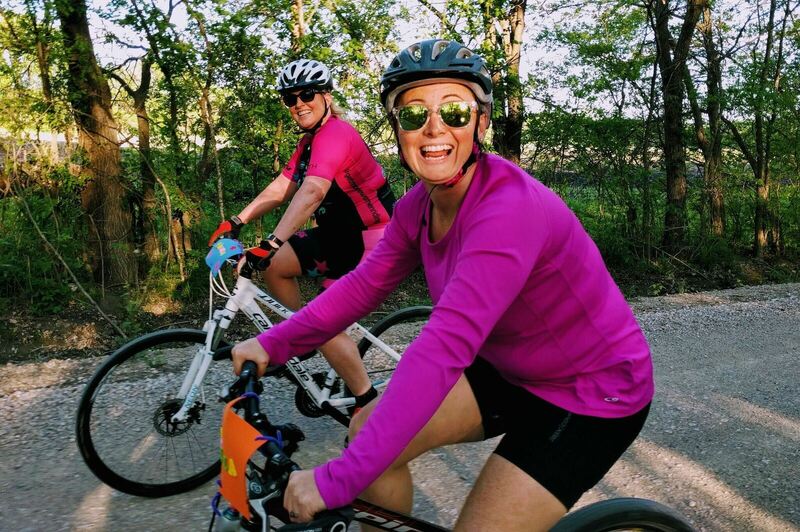 As always we'll have a "first time rider," beginner, beginner-intermediate, and intermediate groups led by our PMBIA certified MTB instructors and you do not have to be a paid member to join us. Huge thanks to Richardson Bike Mart for providing bike checks and mechanical support. Huge thank you to Richardson Bike Mart for providing bike checks and mechanical support. 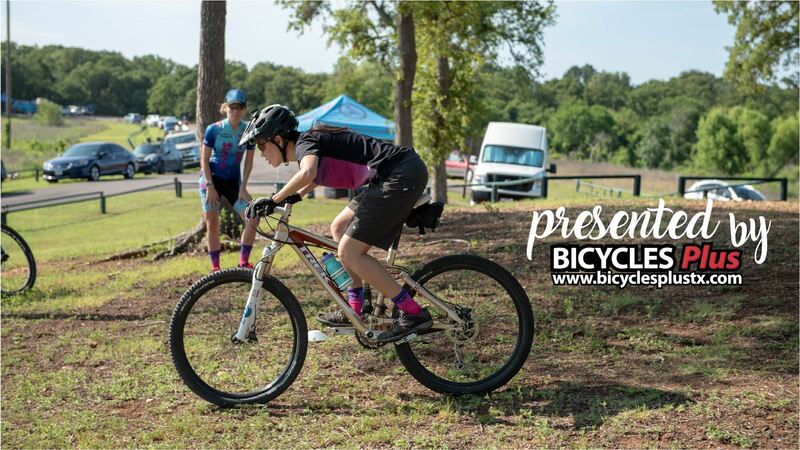 Please arrive at 6:00 pm to sign the waiver, pick up your name plate, and allow us to do a quick bike check. Wheels on dirt after our group picture at 6:30 pm! Woot! Woot! Our co-ed ride is back and we're taking it to Northshore! Invite your Misters (a.k.a. boyfriends, spouses, guy friends, brothers, cousins...we think you get the picture) for a fun ride as we mix it up on the trails together! 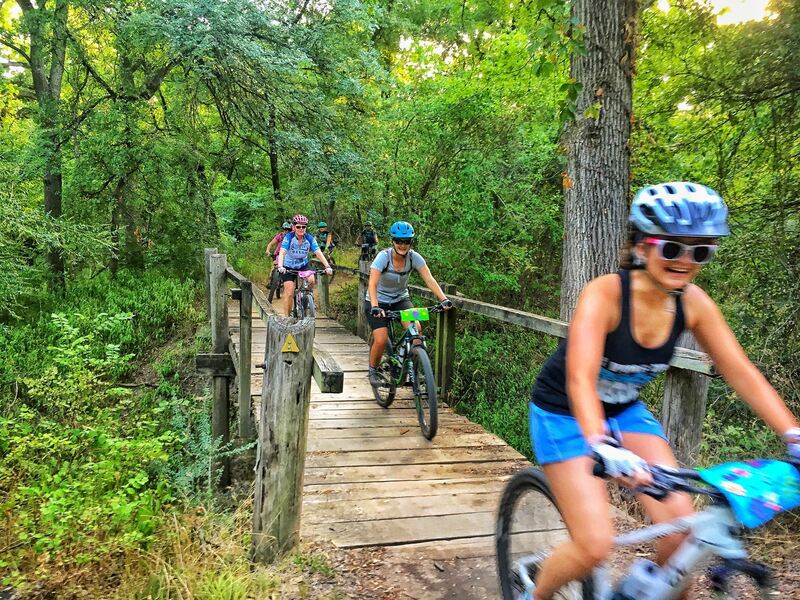 As always we'll have a "first time rider,"beginner, beginner-intermediate, and intermediate groups led by our MTB instructors. You do not have to be a paid member to join us. Huge thank to Bicycles Plus for providing bike checks and mechanical support. We will also be having dinner and drinks afterwards at Rockin' S Bar and Grill! The restaurant is near the same parking lot as the trail head! Save the date so you can join us for a maintenance clinic! We will help YOU learn how to work on your bike so it rides smooth and you can get the most out of your components. Bringing it back to our "home trail!" 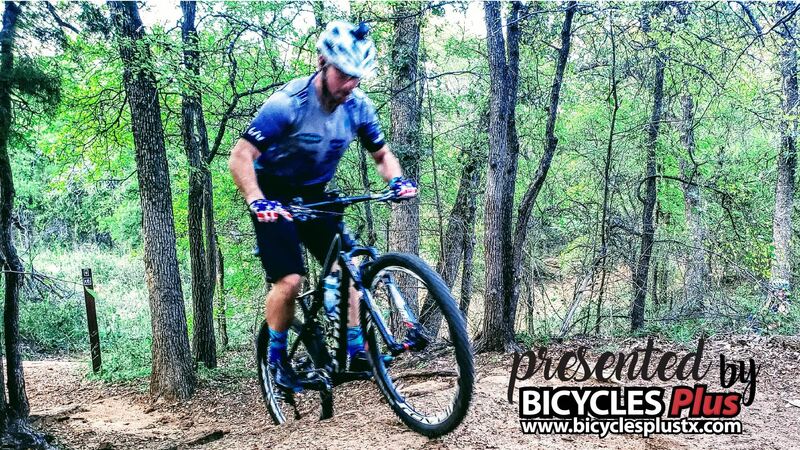 As always we'll have a "first time rider,"beginner, beginner-intermediate, and intermediate groups led by our MTB instructors. Huge thanks to Bicycles Plus for providing bike checks and mechanical support. You do not have to be a paid member to join us. We will also be having dinner and drinks afterwards at Rockin' S Bar and Grill! The restaurant is near the same parking lot as the trail head! This week we are hitting up River Legacy! There is an awesome section called Fun Town, as well as a section for our intermediate riders called EKG! As always we'll have a "first time rider," beginner, beginner-intermediate, and intermediate groups led by our PMBIA certified MTB instructors and you do not have to be a paid member to join us. We're taking our co-ed ride back to Horseshoe Trail because it offers a little bit of everything! Invite your Misters (a.k.a. boyfriends, spouses, guy friends, brothers, cousin...we think you get the picture) for a fun ride as we mix it up on the trails together! 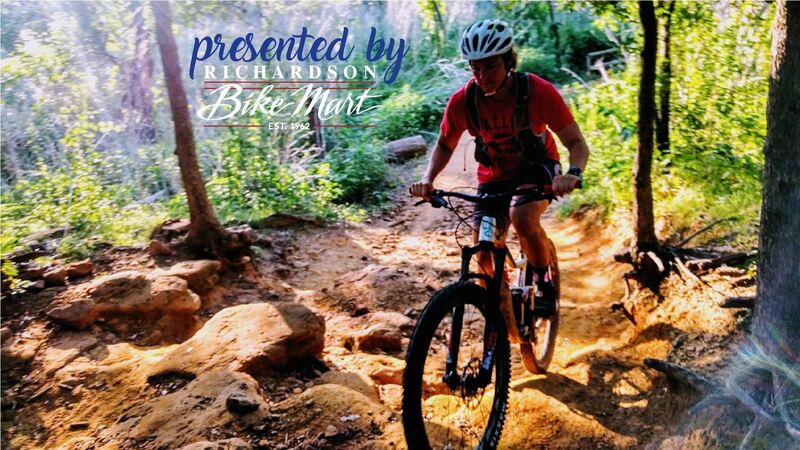 As always we'll have a "first time rider,"beginner, beginner-intermediate, and intermediate groups led by our MTB instructors. You do not have to be a paid member to join us. Huge thanks to Mad Duck Cyclery for providing bike checks and mechanical support! Post ride we will be heading over to Hop & Sting (formerly Grapevine Craft Brewery) to refuel at their food truck and enjoy a cold beverage of choice with our beer tokens! 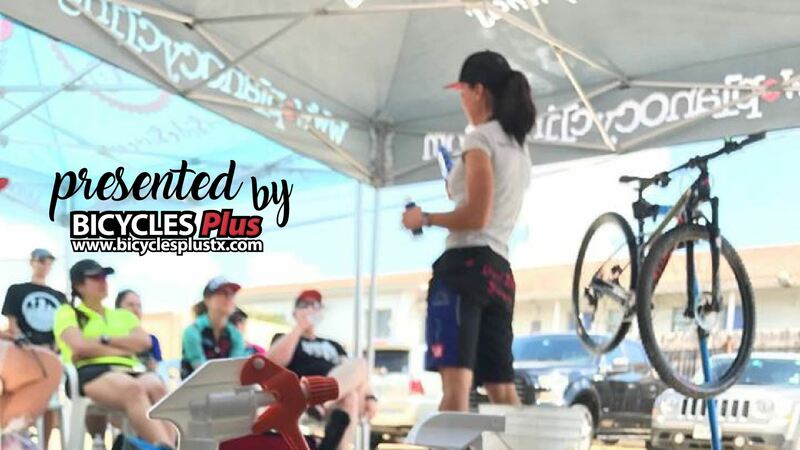 Our Rock Solid Mountain Bike Foundations Clinic p/b by Bicycles Plus is perfect for women who are seeking instruction in essential riding skills that will boost your confidence on the trails. Taught by our PMBIA Certified MTB instructors, you will learn the Fundamentals of Mountain Biking which will include BODY POSITION, OPERATION OF CONTROLS, and TERRAIN AWARENESS/TRAIL SCANNING. This clinic is a precursor to our Advanced Skills Clinic on Sunday. After our group teaching session and field practice, we will be hitting the trail and putting into action our new skills! 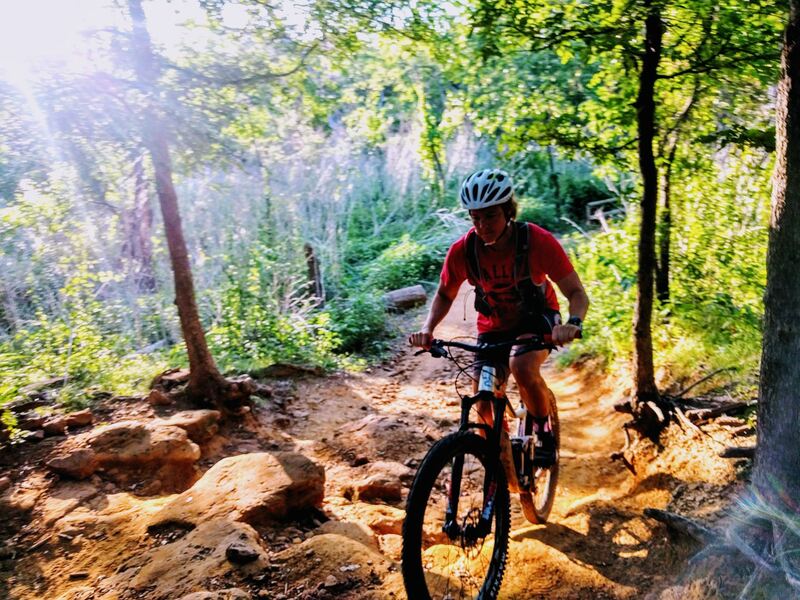 Whether you are brand new to riding a bike, or a seasoned mountain biker, learning and practicing these skills in a safe and focused environment can be a total game changer to your riding and safety out on the trail. Registration is limited to insure safety and also maintain quality in our clinics. There will be no "day of" registration, so be sure to sign up soon to secure your spot! This clinics is FREE with a current DSS Annual Membership and $125 for Non-Members. To learn more about our membership click HERE. If you are a member and have already taken this, don't forget to take advantage of your 25% discount on all other DSS Rock Solid Mountain Bike Clinics! Plus, you can now "Thank" the Mister in your life with a registration discount code for him to use on his own registration for this clinic. To access the registration code for your Mister, check out our Membership Perks page. Hopefully you've come out and enjoyed our whole season of amazing group rides and camaraderie! 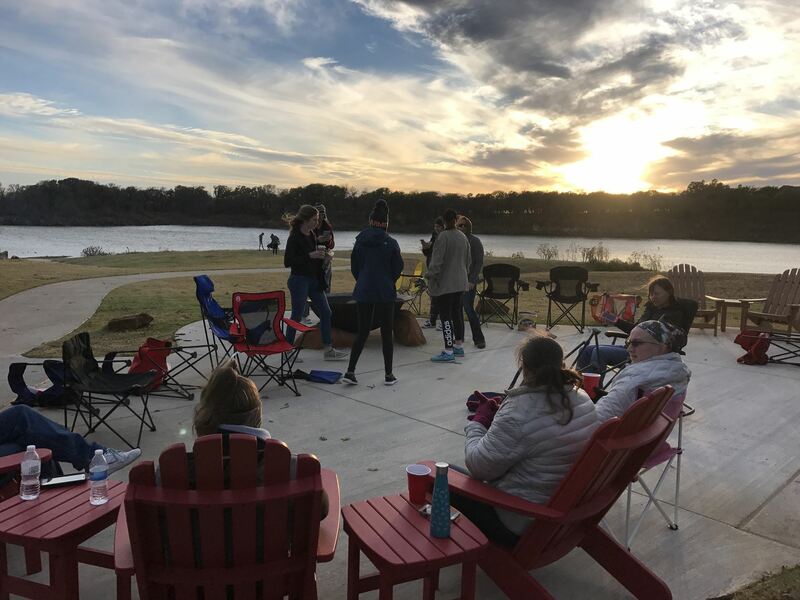 Join us for the Grand Finale of our Wednesday night rides at Horseshoe Trail! If you're a brand new rider we've picked out the perfect, beginner friendly loop to help get you comfortable on the dirt, in addition to steep uphills and rock garden sections for the more advanced riders. As always we'll have a "first time rider," beginner, beginner-intermediate, and intermediate groups led by our PMBIA certified MTB instructors and you do not have to be a paid member to join us. 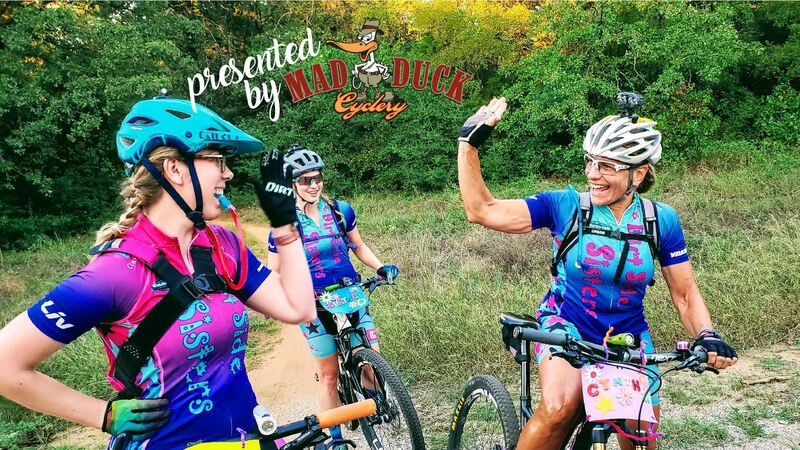 Huge thanks to Mad Duck Cyclery for providing bike checks and mechanical support! Join us for a super fun weekend of glamorous camping (a.k.a. 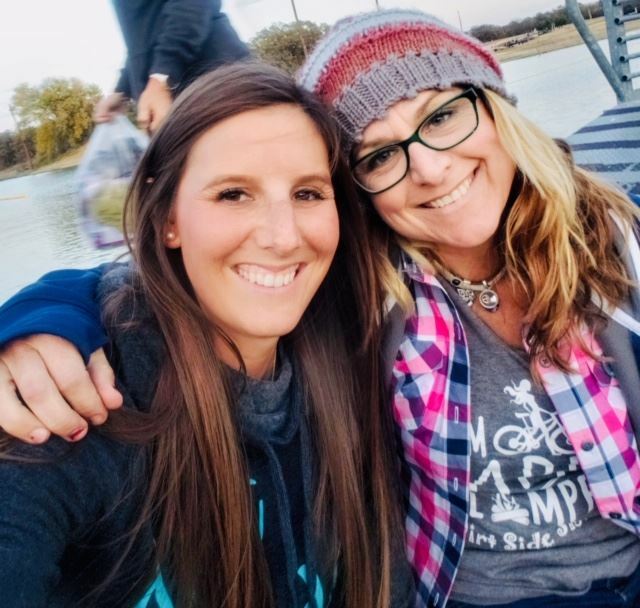 Glamping), riding & hanging out with your fellow Dirt Side Sisters and lady shredders! Our mission to #getmorewomenriding has really taken off and we wanted a way to celebrate and get some good quality time together! 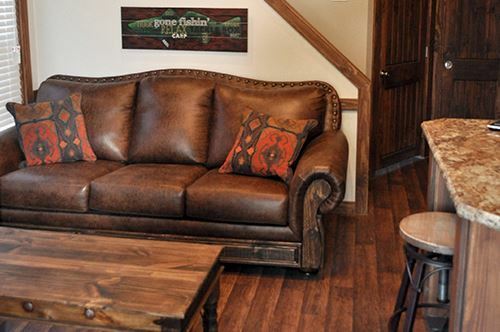 We think there is no better way than a weekend "get away" at our 2nd Annual Fall Glamp Out! There will be group rides, camp fires, and lots of S'mores!!! And don't forget about our end of the year celebration party Saturday evening, November 16th at Rockin' S Bar and Grill!!!! Bring your families and join us for our group picture at 5:00 pm and an all-out, end of the year bash! Huge thanks to Rockin' S for always accommodating us with amazing service and of course for the BEST Fajita Taco Bar in town!!! 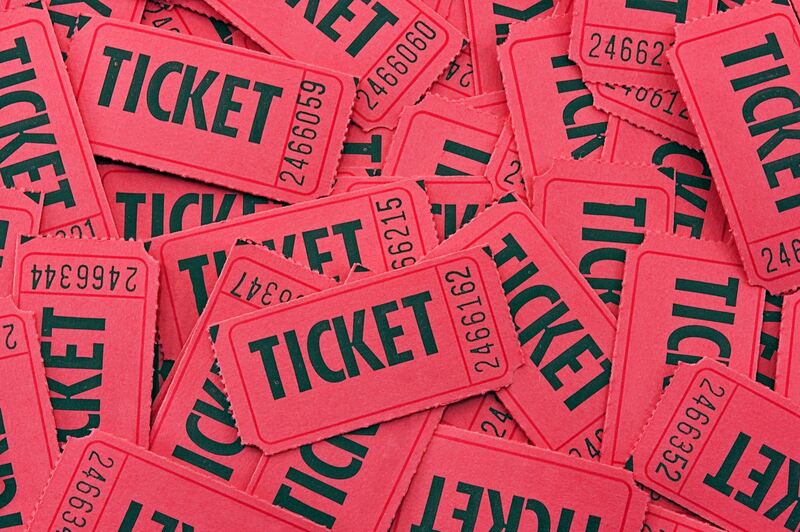 Don't forget to bring extra cash to win some SUPER SWEET SWAG from our fantastic sponsors in our annual RAFFLE! 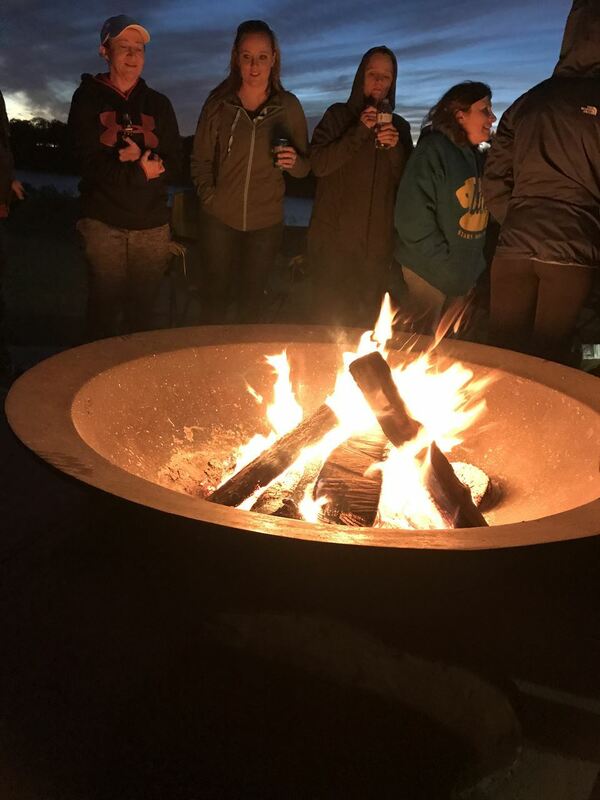 Even if you're not camping overnight, make sure to register you and your guests for the party to help us out with a headcount on food. 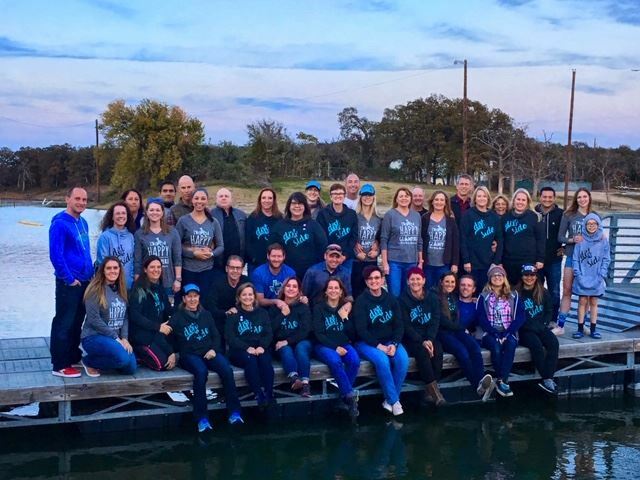 Every Glampout Registrant will receive a 2019 t-shirt hoodie!!! 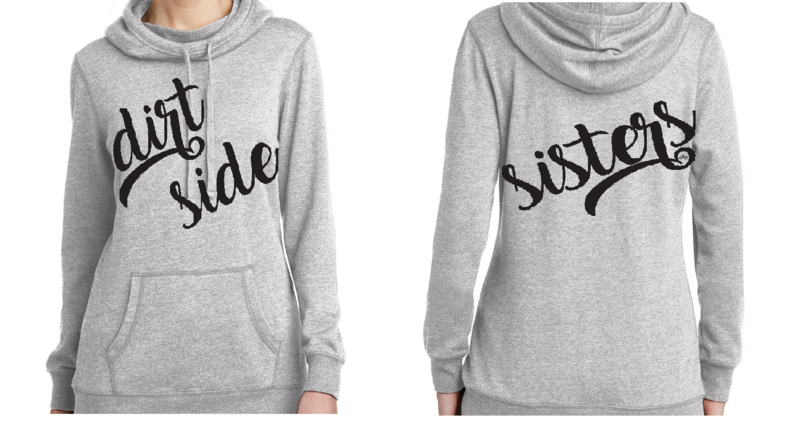 Don't forget to pre-order your Dirt Side Sisters Fleece Hoodie! 5:00-8:00 pm - End of the year party @ Rockin' S Bar & Grill (4600 Murrell Park Rd, Flower Mound, TX 75022) Family and friends are all welcome! ALL GUESTS MUST be registered for the party. Glampout will happen rain or shine! 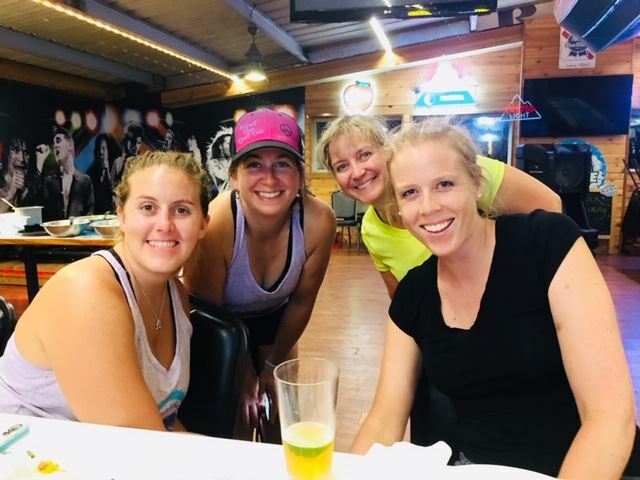 17 Nov 2018 End of The Year Party @ Rockin' S Bar & Grill! 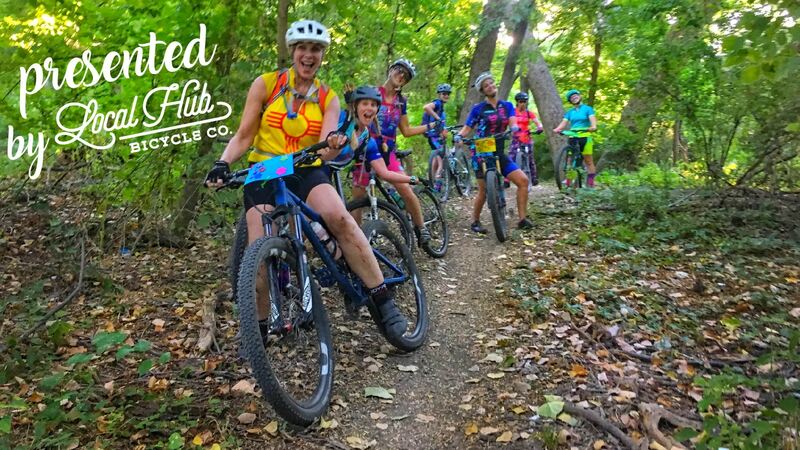 22 Aug 2018 Dirt Side Sisters Wednesday Night Ride @ Northshore with Dinner After! 18 Aug 2018 Nutrition Clinic & Nissan Truck Month Celebration! 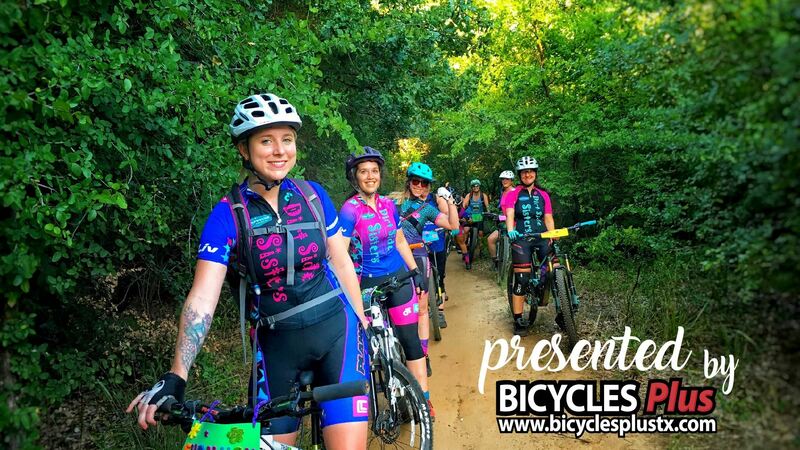 13 Jun 2018 Dirt Side Sisters Wednesday Night Ride @ Northshore with Dinner After! 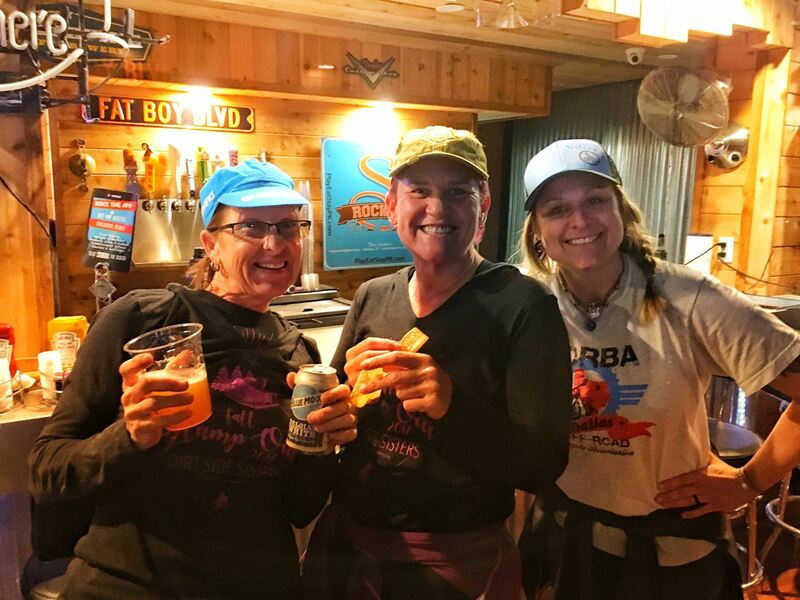 18 Apr 2018 Dirt Side Sisters Wednesday Night Ride @ Northshore with Dinner After! 18 Nov 2017 2017 Dirt Side Sisters End of the Year Celebration!!! 17 Jun 2017 Road Ride & Maintenance Clinic @ Plano Cycling & Fitness "How to Fix a Flat Macgyver Style"
19 Nov 2016 Dirt Side Sisters Year End Party!